With a total area of 50 x 18 km, Menorca is the second island in size of the Balearics. It was already in the 18th century famous for the footwear industry and this industry is still nowadays the main engine of the economy of the island. It is for this reason that Menorca doesn't have a powerful tourism industry, so we can enjoy more the nature and the virgin spots than in Majorca and Ibiza. 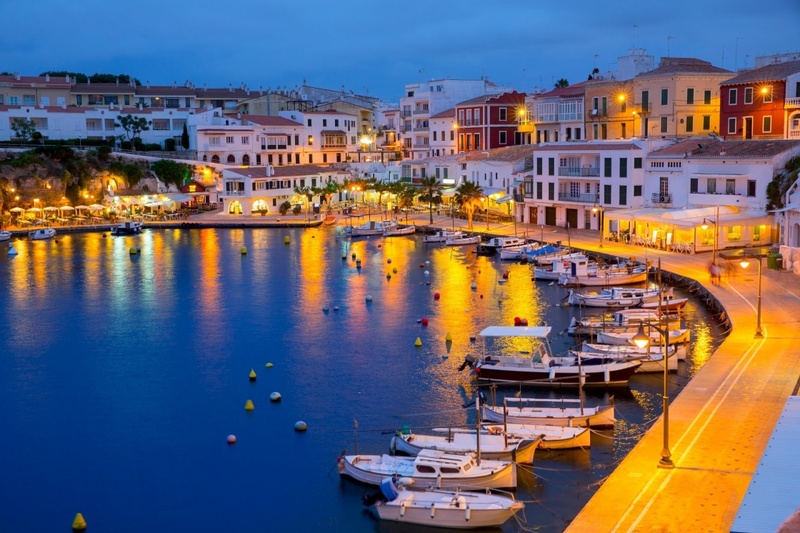 Menorca has plenty of history, and it is known as being an open-air museum. Menorca has incredible fine sand virgin beaches of turquoise water that will take your breath away. One of the most incredible beaches of the island is probably Platja de Macarelleta Beach. This beach, located only 14 kilometers away from Ciutadella, is a virgin beach where you will find yourself reunited with nature. Another example of a great beach to visit is probably Calascoves. These are two beautiful coves that are known for having about one hundred of caves dating back to prehistory. One of the main attractions of Menorca are probably its prehistoric monuments. The Talayots, a kind of towers made out of stone, are an example of these monuments. Its function is still unknown but they were apparently a meeting place for the old people of the tribe. Another prehistoric relic is the Naveta des Tudons, the most famous funeral monument in Menorca which is a kind of grave that can only be found in this island. Menorca has a wide variety of options to do just to please every member of the family. From golf to water sport lovers, everyone will find the best activity for them. As the rest of the Balearics Islands, Menorca has an amazing sunny weather all year long that will make you enjoy practicing your favourite activity. Depending on which activity you would wish to practice, you will have to visit the island in summer or in low seasons. Obviously, for practicing water sports, summer is the best time of the year, while if you wish to go cycling or hiking, autumn and spring are the best options. The gastronomy of the island of Menorca stands out for the simplicity of its dishes, using typical ingredients on a simple way, and just harvested directly from the island. The shortage of food made the inhabitants of Menorca play with their imagination, resulting in very original and tasty dishes. As an island, Menorca offers a wide variety of seafood and dishes with fish as main ingredient such as fish soups with rice that will please the most demanded palates. Moreover, you can not visit the island of Menorca without tasting its incredible cheese from Mahón, designation of origin since 1985; and drinking its typical gin called 'Xoriger', usually mixed with lemonade. In Menorca you will find several popular festivals all year long. All these festivals have normally one thing in common: the horse. The largest festival in Menorca takes place during the Festival of San Joan on the 23th and 24th of June. In spite of being a small island, Menorca has an international airport located just a few kilometers from Mahón. It is a small airport with a Tourism Office and some rent a car agencies. The low cost company Ryanair only flies from Menorca to Barcelona, Madrid and Valencia in Spain, and to the East Midlands and Dusseldorf in Europe. Another famous airlines that travel to this island are Air Berlin, Easy Jet, British Airways and Lufthansa, among others. Once in the island, you will have some bus lines to travel all through it. Find information about selected Hotels, apartments and rooms in Menorca to choose the perfect place for your accommodation.